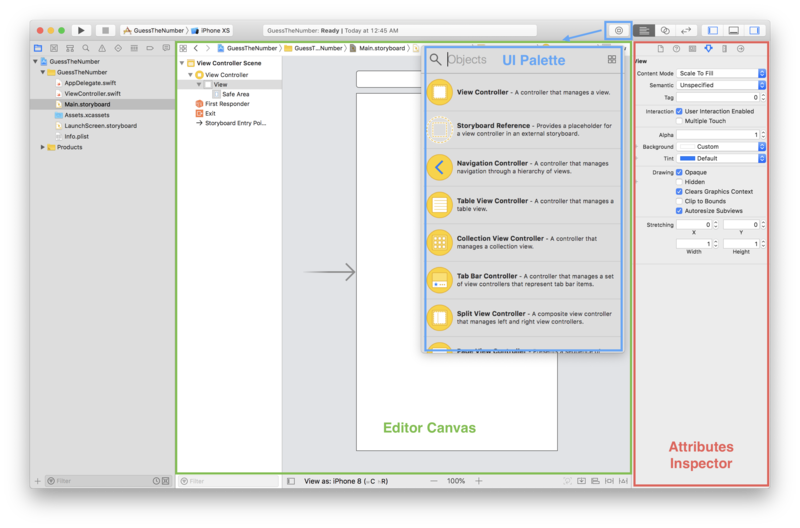 Editor Canvas: This is where you design your layouts. What you see here is what you will get when you run the app on your phone, to an extent. The Inspector: This pane is where you modify anything and everything. It shows options for whatever you have selected. 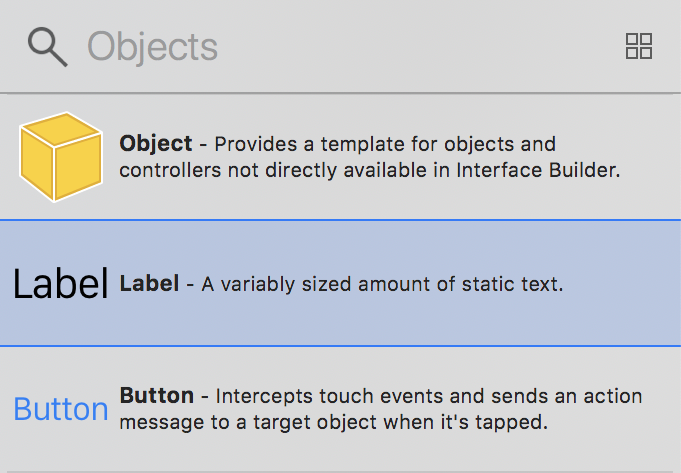 UI Palette: After clicking on the object library icon that resembles a hollowed coin, Xcode reveals a floating UI palette. 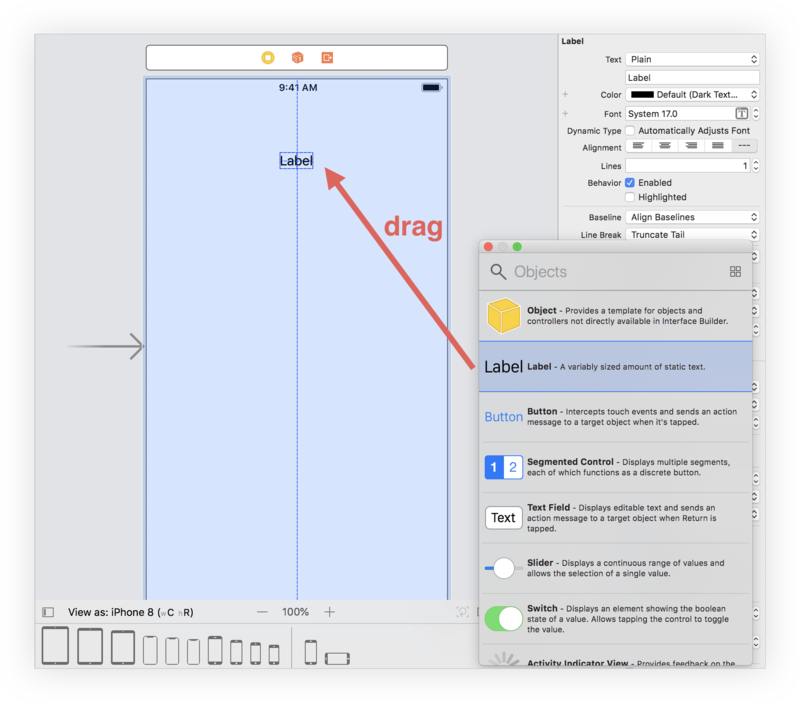 Here, you will find many UI components that can be used to build the app’s interface. That screen in the middle is your first View Controller. Any changes you make to this view will appear on your screen when you run the app. Here is where you can view your app in different screen sizes and orientation. 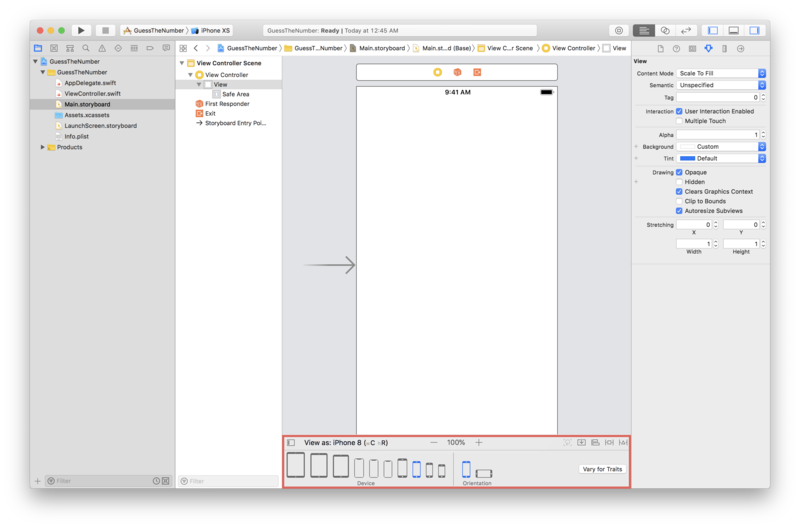 The cool thing about Xcode is that you can layout your views to fit any screen size and orientation, all on one app. 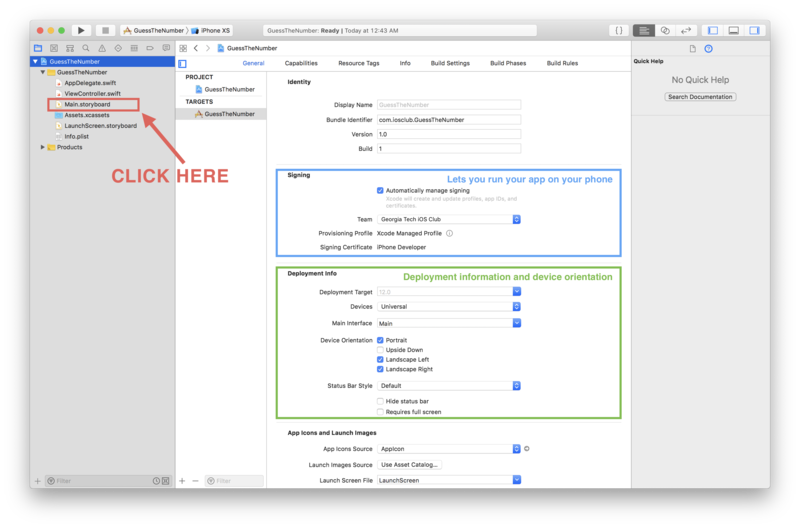 For the purpose of this tutorial, keep the setting at iPhone 8. Let’s start building the screen! Here at the Attributes tab, you can edit the text of your label, the color, the font, the size, and many more! 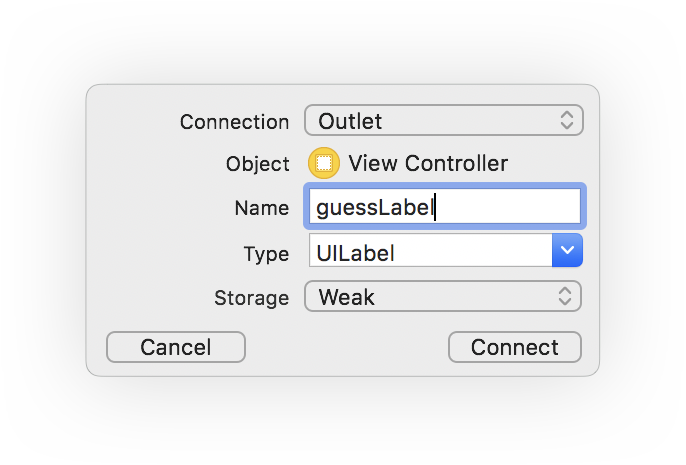 For this tutorial, edit the text of the label so that it reads Guess the Number. Awesome! Now we have our view! 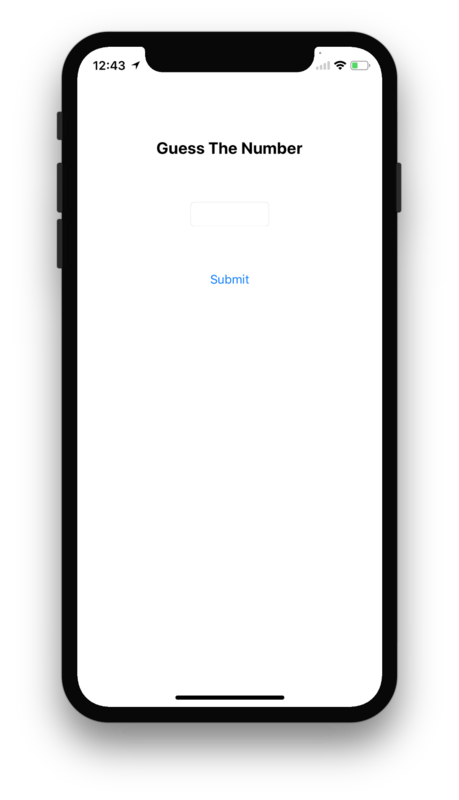 If you run the application on the simulator, then you should be able to see the image above as the final layout on your phone! 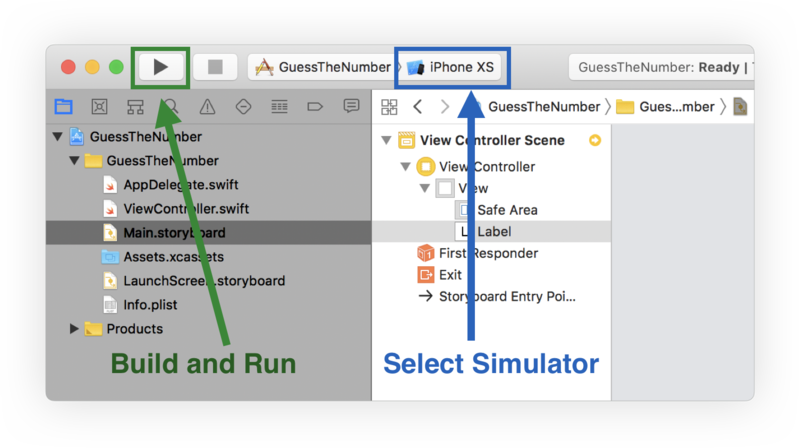 On the top left of Xcode, select iPhone XR, iPhone XS or iPhone XS Max in the device/simulator dropdown and then press the Play Button. While this is great progress, we still need to be able to actually provide functionality to the app. 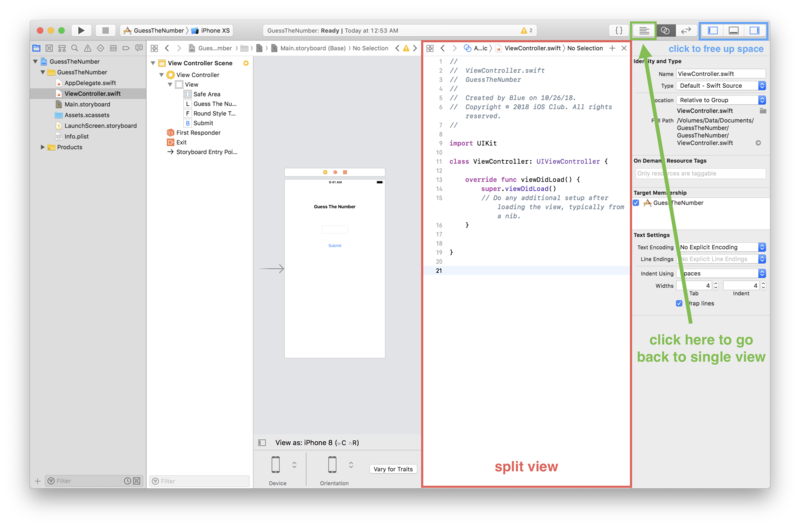 This allows you to see both the view from the storyboard and the swift file connected to that view simultaneously. 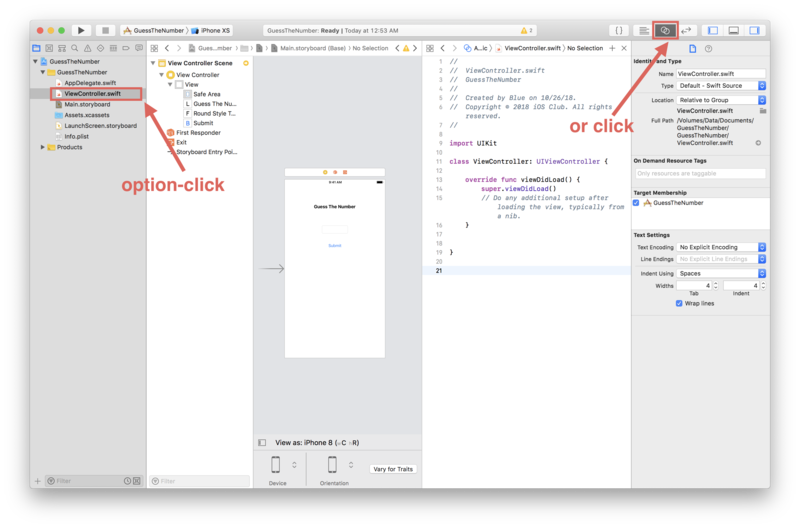 You should be on the ViewController.swift file. Do the same linking process to the text field in the view, and name that connection guessTextField. 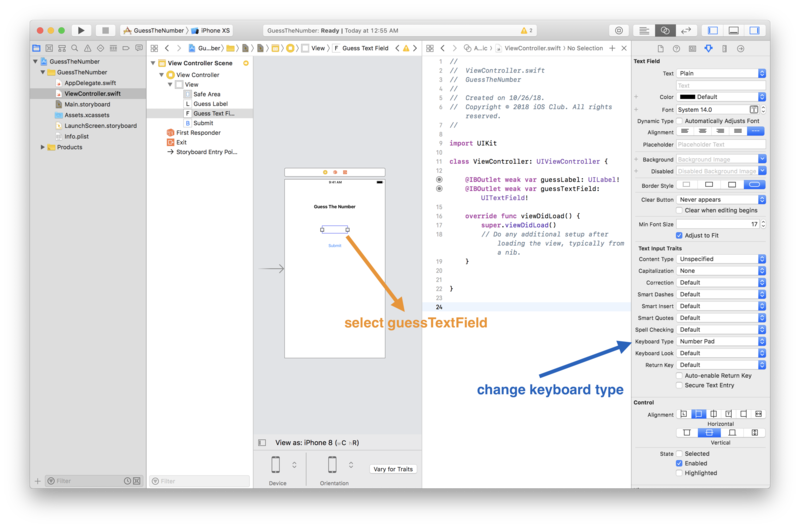 Then go to the Attributes tab for the text field and scroll until you find Keyboard Type. Change it to Number Pad. 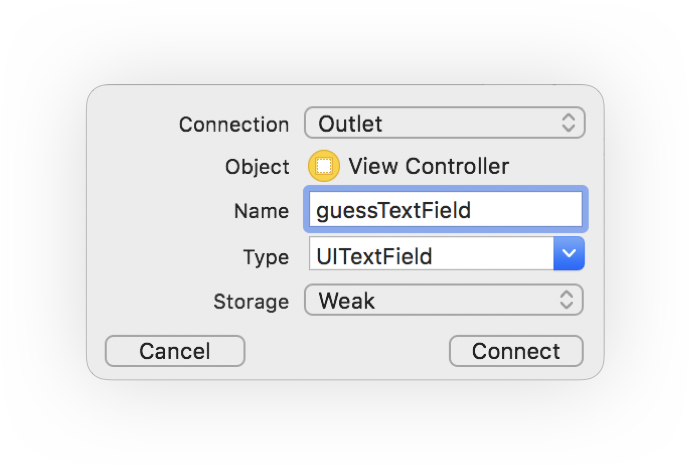 This will only allow numbers to be inputted into the text field. Awesome! 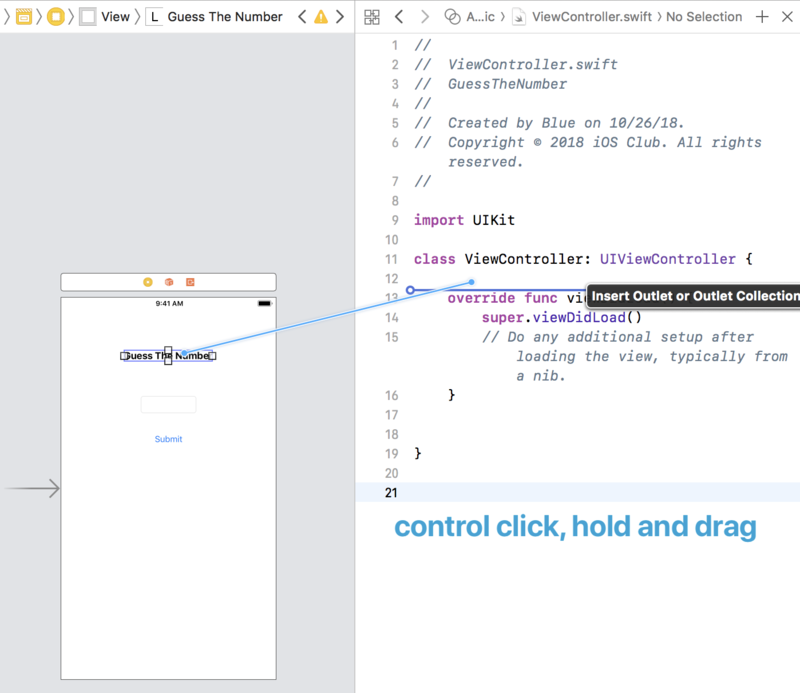 Now we have added connections for both the label and the text field to Swift code! 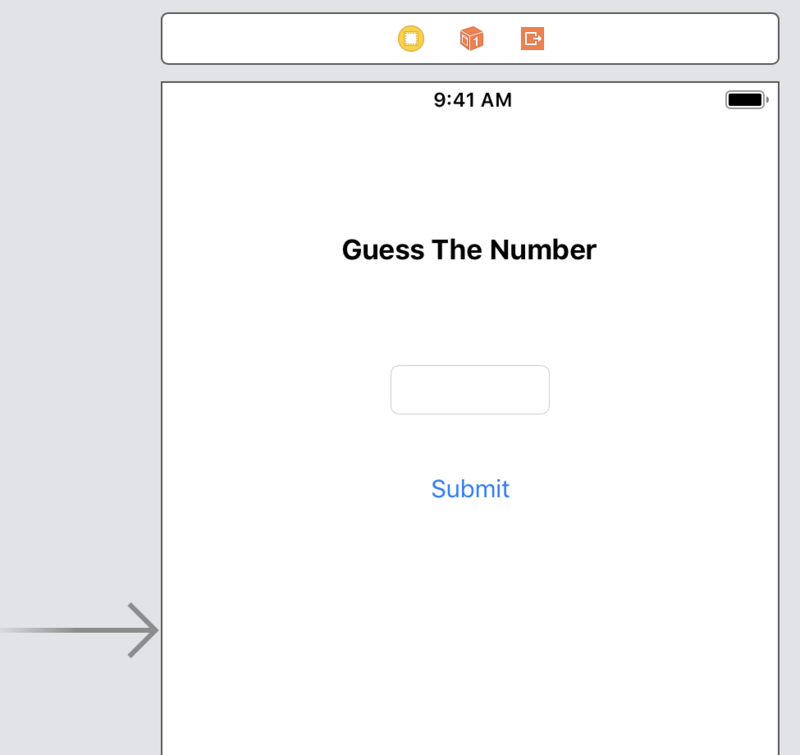 In the next part, we will be adding some functionality for generating a random number to guess, and we will also be connecting the button to the code.